Apply to all cardio machines with a larger display space, Jacobs Ladder and weight equipment with a bench or anywhere you want cleaned. 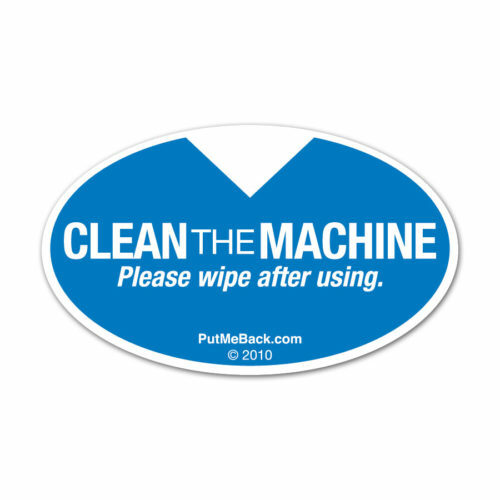 The bigger version of the popular Clean the Machine sticker as requested by our customers. 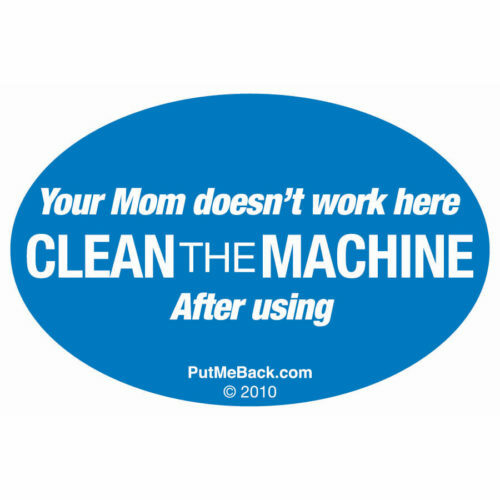 Ideal for Senior facilities or if you want to make sure your members can see what they should be doing after using the equipment. 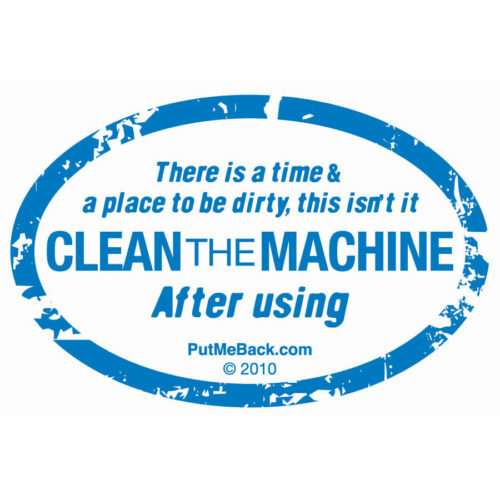 Purpose: Apply to all cardio machines with a larger display space, Jacobs Ladder and weight equipment with a bench or anywhere you want cleaned. 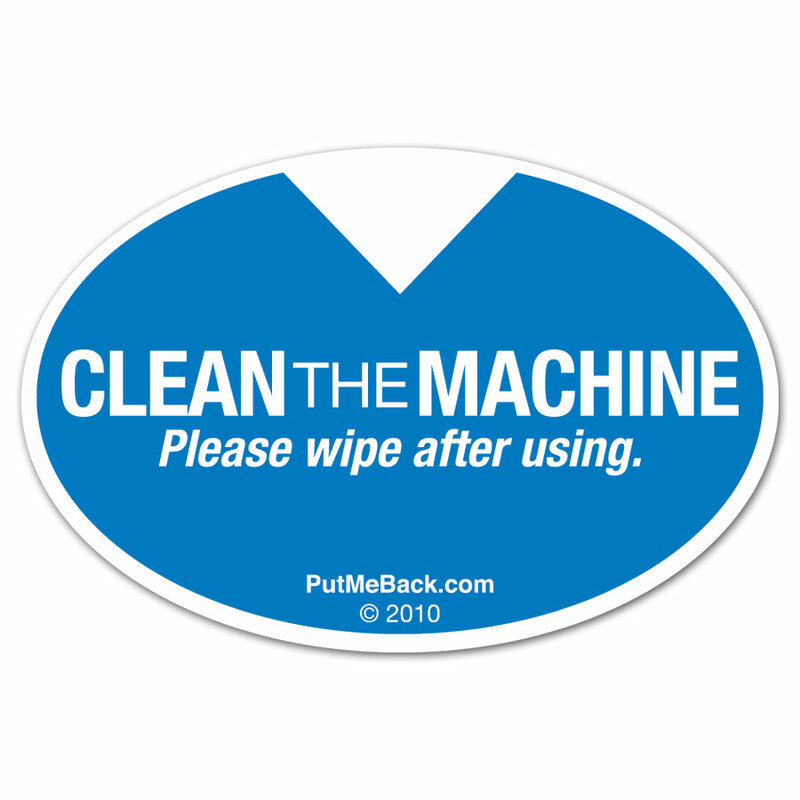 The bigger version of the popular Clean the Machine sticker as requested by our customers. Ideal for Senior facilities or if you want to make sure your members can see what they should be doing after using the equipment.